1) Suzuki et al. 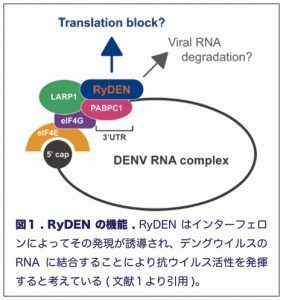 (2016) Characterization of RyDEN (C19orf66) as an interferon-stimulated cellular inhibitor against dengue virus replication. PLoS Pathog. 12:e1005357. 2) Hishiki et al. (2014) Interferon-mediated ISG15 conjugation restricts dengue virus 2 replication. Biochem. Biophys. Res. Commun. 448:95. 3) Takahashi et al. (2012) Establishment of a robust dengue virus NS3-NS5 binding assay for identification of protein-protein interaction inhibitors. Antiviral Res. 96:305. 4) Tan et al. (2014) Identification of RFPL3 as a novel E3 ubiquitin ligase modulating the integration activity of human immunodeficiency virus type 1 preintegration complex using a microtiter plate-based assay. J. Biol. Chem. 289:26368. 5) Suzuki, Chew, and Suzuki (2012) Role of host-encoded proteins in restriction of retroviral integration. Front. Microbiol. 3:227. 6) Yamamoto et al. (2011) Huwe1, a novel cellular interactor of Gag-Pol through integrase binding, negatively influences HIV-1 infectivity. Microbes Infect. 13:339. 7) Suzuki and Suzuki et al. (2010) Functional disruption of the Moloney murine leukemia virus preintegration complex by vaccinia-related kinases. J. Biol. Chem. 285:24032. 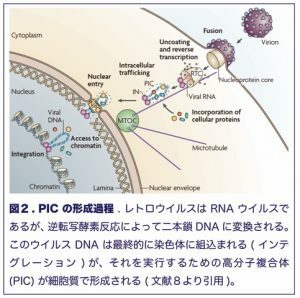 8) Suzuki and Craigie (2007) The Road to chromatin – nuclear entry of retroviruses. Nat. Rev. Microbiol. 5:187. 9) Suzuki, Yang, and Craigie (2004) LAP2α and BAF collaborate to organize the Moloney murine leukemia virus preintegration complex. EMBO J. 23:4670. 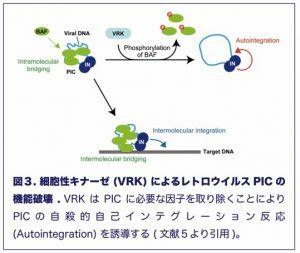 10) Suzuki and Craigie (2002) Regulatory mechanisms by which barrier-to- autointegration factor blocks autointegration and stimulates intermolecular integration of Moloney murine leukemia virus preintegration complexes. J. Virol. 76:12376.